Industrial carts serve an integral part in the transportation and movement of material to various locations. Not only does a cart offer transportation solutions, it improves lean efficiency and worker productivity. It is imperative to carefully consider important factors to choose the correct size and configuration best suited to the required application. 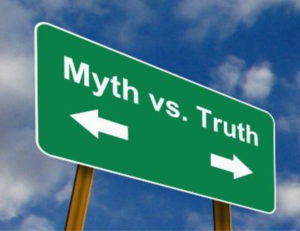 The myth that carts are too difficult to push is partially true; some carts are made only to be tugged, therefore pushing would be difficult. 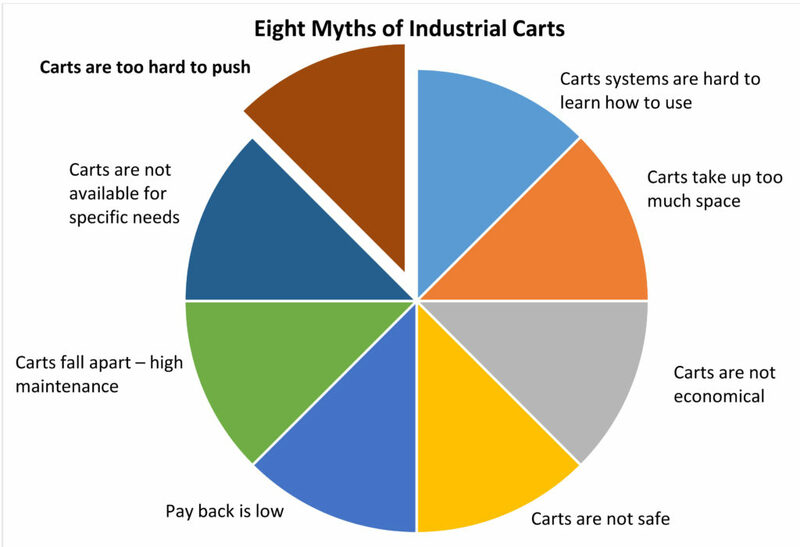 The truth is there are numerous industrial carts designed to be easily pushed. Even the sturdiest of steel carts can be made light weight and carts using high quality casters with precision bearings are made for easy maneuvering. 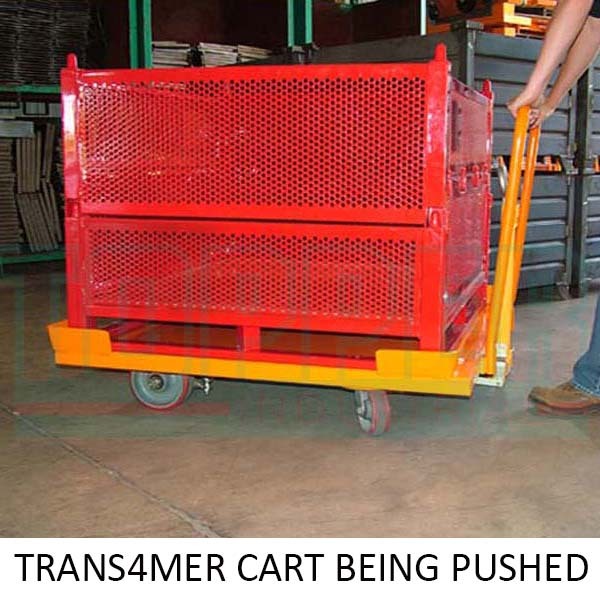 Pushed, pulled, tugged, it really depends on the cart content, which needs are figured into the design and use of the carts. Mismatched wheels, or wheels unsuitable for a specific application, have the opposite of the desired effect; they risk failure that can damage operating equipment. Selecting the wrong wheel can lead to work slowdowns, stoppages, or even safety hazards. When selecting wheels for use in industrial or commercial settings, it is important to identify and evaluate their intended use and overall operating environment. Factors such as extreme temperatures and caustic environments affect the performance and operating life of industrial wheels. Industrial carts used in warehouses, manufacturing facilities, shipping, and other industrial types of business need to be built rugged. These carts must be able to stand up to the demands of heavy loads as well as a variety of floor types and repeated use. The type of industry as well as the specific role that requires the use of a cart will be important factors in determining which cart will be best for that particular application. Many industries use carts to move products around their facility; however, the environment, size of products that need to be moved, and the weight of these items, must all be taken into consideration when determining the type of cart needed for a specific business. Regardless of what type of industrial operations, sturdy carts are not necessarily too difficult to push throughout the facility; design options will allow customizable carts to meet specific needs. Of course, other cart options are also available, such as carts with multiple shelves as well as ergonomic handles. The amount of weight the cart will need to handle, as well as the floor surface will be important factors in choose the right cart for the job.